It is my opinion that if an ‘ecumenical’ synod agrees in the officially few differences that separate the papal clergy from Orthodoxy and announces a union, Orthodoxy will receive a blow, and rather decisive : ideological glueing and lack of real unity with the western christianity, along with internal schisms. The unity that exists in our common ‘european’ chaos, almost perfect already, will be sealed by the Orthodox clergy, leading to the greatest possible corruption. This is what happens when a Church as such collapses, and faith is decided in laboratories. In the current conditions we need to help mutual contact in many ways, except for an official ideological union. While we need real unity, a unity that comes naturally, unsolicited, wherefrom doctrinal union springs, we prepare the exact opposite. Official ‘theological’ dialogs and the official union are prospects distant enough for us to not even think about them, even for many generations ahead. Unity in faith is impossible when presuppositions more basic than even doctrines are missing. Artificial agreement leads to the slandering of any possible belief, undermining the ground of any past and future unity between thinking and deeds, damaging the power to create a cultural prospect. Do we need doctrinal unity in order to know each other? A doctrinal unity can not come first but only follow a life already inspired by common experience and understanding. This is what happened in the christening of Hellenism, when groups and communities, even being persecuted, were developing real unity, ending to the conversion of the persecuting empire, the birth of Byzantium. Aquinas and Symeon belong to different worlds, we can’t compare them and we can’t know who is more significant. What we call ‘Christianity’, does not really exist, not only because western peoples are deeply immersed in atheism and nihilism. In the eyes of a Turk Thomas and Symeon belong to the same world, Christianity exists and is all a ‘West’. This is what we want, a unity that remains invisible unless we have Turkish eyes? We are designing and programming the tradition, while we need to be born by tradition. In Wittgenstein’s words, “in the ground of a religious symbol there is no opinion, and a mistake fits only to opinion… Tradition is not something you can learn, it is not a road you can follow whenever you like, at least as far as you can’t choose your ancestors”. […] Each Church has had a separate development, a separate history, and different challenges. Our age is indeed particular in that both faiths face the same challenges, those cited above. These are the grounds for the current projects of reunification. But are these enough? A millenium of separation cannot be resolved by simple good will, let alone an ecumenical synod. If Rome and Constantinople did not resolve their conflict when Muslim armies were threatening the later, why would secularism and scientism serve as motive for reunification? Dear brother how can you desire to have separated churches when your Lord prayed for the opposite ( John 17:20-23 ). I understand your desire to maintain your identity but don’t oppose unity if that’s what our Lord prays for. I for one don’t think you will lose your identity. I think there is much prejudice and fear hidden beneath the lines of your opinions. For almost a millenium the Greeks we suffered the consequences of the schism between Constatinople and Rome. We have been consummed from our hate and anger for the West and we disregarded the only true fact : that Greece is part of Europe. That our only true allies are the rest of the christian nations. For so long have we turned our face away from this fact. For so long have we isolated ourselves from the rest of the Christianity. If you travel within Europe you will be astonished of how many common things and thoughts we share with people that in the past we considered strangers to us – Italians, Spanish, Portuguese etc. You will be surprised by the way that they pay tribute and reverence to the Virgin in the same way that we do. At the same time you will come to understand that those people are our kind that we are not a peculiar national singularity as the Greeks we tended to believe thus far. There is a brand new world out there completetely similar to us. Christian people ,mediterrenean people, people who bear the same mentality for family country and christianity. This emerging world will be the end and result of many and different types of mergers and unions. As such conventional wisdom suggests that there is no more room for isolation and self adoration. The nations that will neither be absorbed nor vanish will be the ones that will find a way to create new larger symbiotic circles with the nations that they share common origins common beliefs and a common ethos. With great prudence our bishops have realised this new state of things and wisely have they decided to procede and create for us a new symbiotic frame with the latin europe. In this frame we will be able to maintain our rites and customs as a sui iuris church and at the same time share a common doctrinal ground with the rest of the latin world. The path choosen from our church is not a path to papacy but a path to national survival. A path that if it was choosed some hundred years ago we wouldn t have experienced the dwelling in a cultural and uncivilised darkness for 400 years. In my opinion, you lack knowledge of the history of Greece and Europe; apart from that, you are interested in something I’m not: national survival. It is not a matter of survival, but of living the truth, without which survival is meaningless. Of course we share with western European nations more than we share with any other non-orthodox nation on the planet, on this we can agree. The point is that Greece is not a part of Europe: Europe is a child of Greece. Maybe not exactly the child we would expect, but it is that, as many western historians do not hesitate to observe and admit. Recall some certain and well known facts: what would Rome have been without Greece? Would the West have become Christian without Greece? Was not the European renaissance a re-founding of Europe in ancient Greece? You can search for more. I did not speak about isolation and self-adoration, on the contrary; there is a need for close co-operation. What I am against, is doctrinal union. We don’t need doctrinal union in order to meet with each other, love each other and co-operate. Besides this, what we admire in the West, is more a product of the protestant West, than of the Catholic : We love Kierkegaard, Rilke, Beethoven, Nietzsche, – not Thomas Aquinas. If we adopted your logic, our primary target would be a union with Protestants, not a union with Catholics. Even you, I guess, can understand that such a union is impossible. Therefore, you can also understand that a union with Catholics, based on what we indeed share, is at least irrelevant. I am member of a protestant church but i dont count myself to any denomination cause everyone of those has mistakes and advantages ( we are all not perfect christ is ) thats why i call myself christian only. I agree that every church should have its own style and liturgy as it wants to worship g´d there is no best and worse way if the laws are followed we are free to worship him as we want. But christ doesnt want seperate churches thats why we should be one submitted to christ and the bible but every single church with the right to manage its own considering the law of g´d. That kind of unity is my dream cause i want to worship g´d with my protestant, catholic, orthodox etc. brothers but only by following the law of g´d almighty as we find it in the bible. A point to dispute: Europe is not a child of Greece only; it was a child of Greece only in the Hellenistic and Roman periods. It was the union of Greco-Roman and Jewish culture that formed Europe. (And even the Romans deserve their share of the praise too. There never was such a thing as the Byzantine Empire; they called themselves “Romaioi”; so should you.) Can one imagine St. Paul without Judaism or the Cappadocians without St. Paul or Symeon without the Cappadocians? Plato, for all his wisdom, did not put his hand in the side of Jesus. But a Jew did. Aristotle, for all his science, never went to the seventh heaven. But a Jew did. Alexander, for all his conquest, never knew that the meek are blessed. But the Jews did. Solon, for all his legislation, did not know the Law of God. But the Jews did. When the Greeks were worshiping Artemis in Ephesus, a many breasted beast, David was dancing before the Lord. When the Greeks were tossing incense before the altar of the unknown god, the Jews knew enough to call Him by Name. And let us remember that no Greek did God ever reveal to be a man after his own heart. But he did a Jew. So, please, continue with your praise of Greeks. But remember pederasty. Continue with your praise of their politics. But remember slavery. Continue with your praise of their conquests. But remember Antiochus Epiphanes. Continue with your praise of their emperors. But remember that Heraclius did not come from Athens, nor Justinian from Plato’s Academy, nor Alexius Commnenus from the philosopher’s chair, nor Saint Anthony from the Cappadocian estates. St. Paul changed the world and he was no master of the Greek sciences. He was only a tent-maker. It is no simplistic picture of history that will bring peace and unity to Christianity. So perhaps you will cease peddling yours. Your points about doctrinal unity, to my mind, still stand. And I think you’re right that it is unwise to force the matter from the top, that it must be lived into the traditions of both churches. So, in most respects, I agree. Except on this point of Greek pride. I agree that “it was the union of Greco-Roman and Jewish culture that formed Europe”, provided that you accept some necessary clarifications. Please let me explain from the start, that I’m not a nationalist, nor do I symphatize even a little with nationalists, racists, anti-semites, and their like. As is known, Rome built its culture upon the Greeks totally, which is the reason why historians like Peters speak about the Roman culture as a variation of the Greek. Passing to the other element, the Jewish, of course we can’t imagine Paul without judaism, but we can not also imagine him as not being against whatever made judaism deny the Christ. He may not have been an expert in Greek knowledge, but he was more than familiar with Greek thinking and not just a tent-maker. 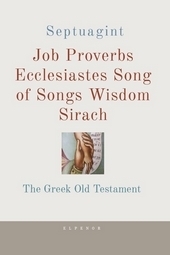 It is evident by his texts that his is greatly influenced by Greek culture. It is also known that Tarsus was a place with a special interest in Greek culture. 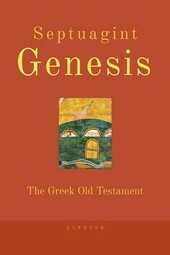 Beyond this, the whole Judaism of the time had received not insignificant influences by Greece; even some of the jewish Old Testament books were written originally in Greek. I agree that we can’t imagine the Cappadocian Fathers (St. Basil the Great, St Gregory the Theologian and St. Gregory of Nyssa) without St. Paul, but we can not also imagine them without Plato. St Gregory of Constantinople (whom the Orthodox Churches name “the Theologian” together only with Symeon the New Theologian and St. John the Theologian), even wrote poems in the Homeric Greek dialect! 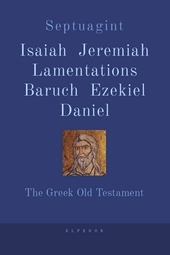 It suffices to conclude this remark by reminding you that not only the New Testament but the whole foundational patristic literature is written in Greek, and even the first Fathers of Latin Christianity were influenced by the Greek Fathers who preceded and defined the way ahead, a course that stopped with the fall of the western part of the empire and the growing alienation between the western and eastern churches, which led to the schism and the formation of an indepent-from-Greek-thinking papal christianity, with the known results. I would not agree with you at all, that “Plato, for all his wisdom, did not put his hand in the side of Jesus”. No one has real wisdom without putting his hand to the side of Jesus, – Who lived, existed and appeared to men even before His incarnation. There was polytheism, and there was also monotheism in ancient Greece, as you should know, and God was not unknown to them, only His name. Even popular polytheistic religion speaks about face-to-face encounters with God. 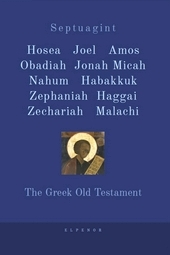 Faults, they had many, but they were the first to accept the Gospel and the whole Church of the first centuries was Greek or Greek-speaking, with the Greek element keeping this foundational position for two millennia in the East and for almost a millennium in the West, until the Schism, the Reformation and the birth of the modern secularised individual. I’m not aware of any serious scholar that does not accept the fact, that if the new religion was not embraced by the Greeks and was not united with Greek culture, it would not have spread to the world and no nation would have been Christened. You may like the Greeks or not, but in any case we speak here today about Christianity because of them. Christ was born a Jew, but it was not the Jewish culture and the Jewish nation that believed in Him, embraced Him and introduced Him to the world. Let me end with a remark that will sound a little provocative. 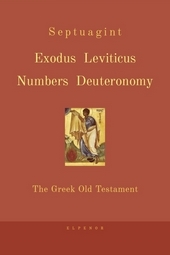 Not denying even a little the position of the Old Testament in the Christian Bible, especially the Septuagint translation, I believe that the pre-Christian tradition, if there was one, of any nation that actually believed in Christ and did not deny Him, as the Jews did, is more important to that nation than the Old Testament and than the texts of any other tradition. The old self is Christened, and this unified and baptised self of each nation is able to understand also the past of other nations that were baptised, even the past of a nation that was not baptised, as is the Jews. To study the Old Testament having commited spiritual suicide is vain. It happens with national traditions, what happens with each of us personally: the more immediate words of God to us (the words of our mother and our country) are more important to us, than all the wisdom other nations gathered. 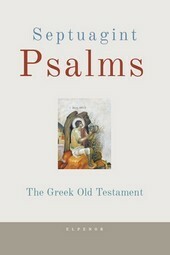 If I am not able to understand even Homer and Plato, the first words God spoke to me as a Greek, how am I able to understand the Old Testament? The same is true also for Christian literature and traditions, and from this aspect it is natural and good that each nation tends to give some kind of primacy to its own literature. If an Englishman can not and did not understand even Shakespeare, a word of God spoken to him immediately and through him to the world, how is he able to understand Plato or the Old Testament? The Catholic and Orthodox faiths currently encompass many different traditions. For example Catholic-Latino traditions (even in the mass) vary greatly from their western brothers. The traditions are welcomed and unity remains. Unity of different traditions is possible and healthy.